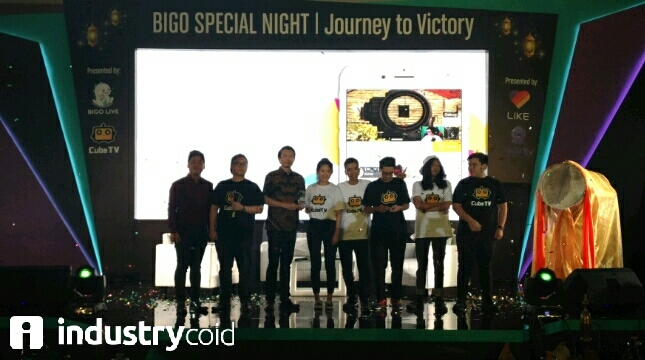 INDUSTRY.co.id - Jakarta - Streaming Singapore app, BIGO-Live launches Cube TV as an expansion strategy in Indonesia. This new app focuses on mobile gaming live-streaming, e-sports arena, and gaming malls. The launch was held in conjunction with a Ramadan celebration with the local community with the headline BIGO Special Night. Cube TV was launched first in Southeast Asia and will continue throughout the world in several phases. Head of Marketing Global Cube TV, Aswin Atonie said the idea behind this application is to create a dynamic gaming environment where Cube TV provides an opportunity for users to interact and pit the greatness in the game arena. "In addition, this app will also allow them to expand their circle of friends and exchange ideas with other users," Aswin said in Jakarta, Monday (05/21/2010). He added that the existence of shopping center features will satisfy the needs of gamers looking for game products and enable them to earn revenue. In the long term, Cube TV hopes to always contribute to e-Gaming events and fosters opportunities for gamers in Asia to interact and compete in a healthy and fun social environment, even to build a professional gaming career. "In Indonesia, we have recruited some professional e-Gamer such as Michael Show, Afif, and Rahmad.We hope to see more Pro join us," he said. Cube TV offers advanced technology that enables real-time high quality video streaming with a very short latency. Cube TV also allows users to watch live-steam and video with Blue Ray quality. 8M Blue Ray and Full HD 20M for video and live-streaming will also be available soon in the app.